The FEHRENBACH DRIVING SCHOOL propose you the new FRENCH HIGHWAY CODE BOOK written in English. More than 40 years of experience with the goal to help the english speaking drivers to be aware of the french rules. 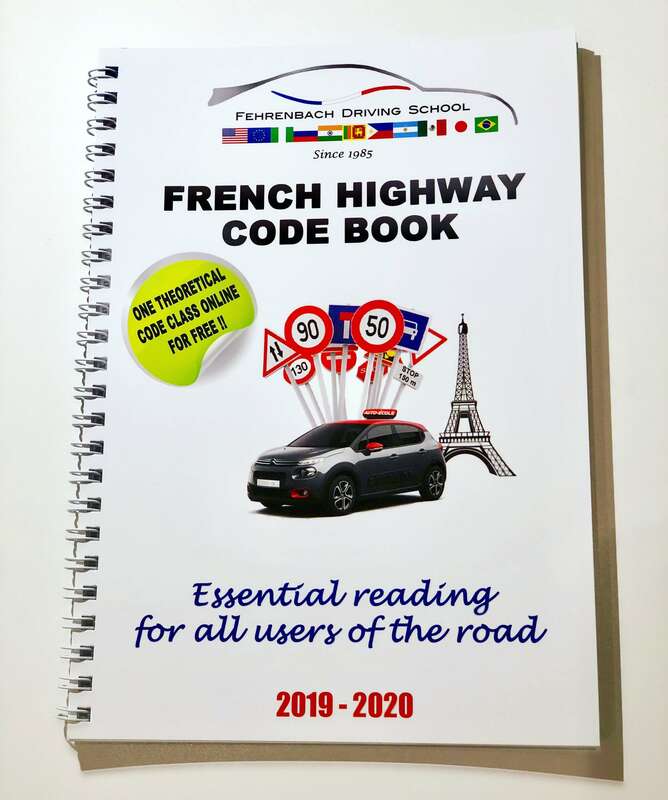 the FRENCH HIGHWAY CODE BOOK is essential not only for the candidate who needs to get the French-European license but also for the drivers who has a valid home country license.